Hello everyone, this guide will provide you all the information you will need for the Bug Catching Contest. 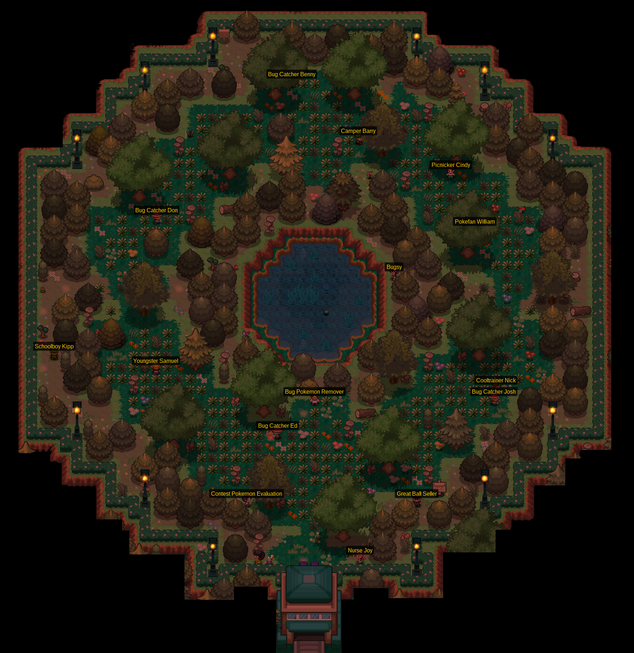 This Johto contest has a new zone with unique spawns where you compete in a hard and great challenge. To be able to join this contest, you need to appear with only one Pokemon. You can use either a Synchronize Pokemon or a False Swipe Pokemon. 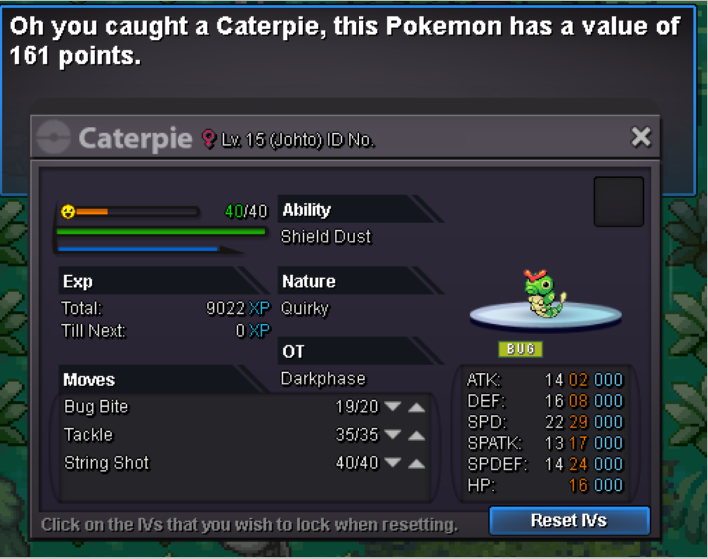 You will have 20 minutes to capture as much Bug Pokemon as you can. Don't forget to save the caught Pokemon so that you can access the NPC that will delete the unwanted Pokemon. 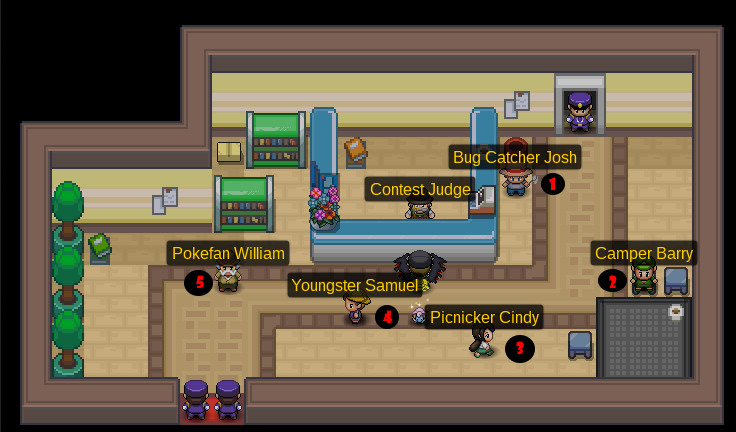 When those 20 minutes end, you will enter the Contest Hall and the Jury will choose the best Bug Pokemon. 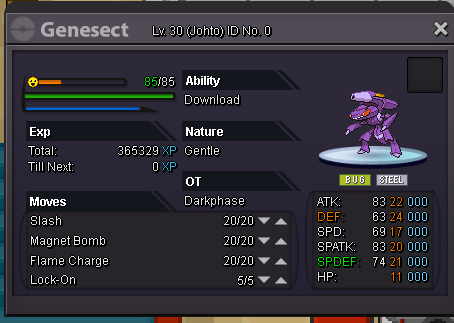 Keep in mind that you need to catch a good Bug Pokemon to be victorious. The rewards you will receive depend on how good your caught Pokemon is. You can participate once on every day. There is a server based cooldown, which resets the Bug Catching Contest cooldown every day at 00:00, GMT +0. 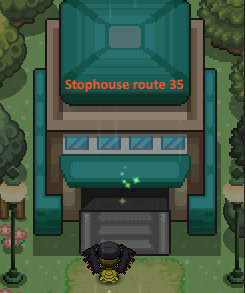 Travel to route 35, located north of Goldenrod City or west of Violet City. Walk inside the stophouse and you will find a Guard standing there. All the Pokemon in the contest can be caught all day. 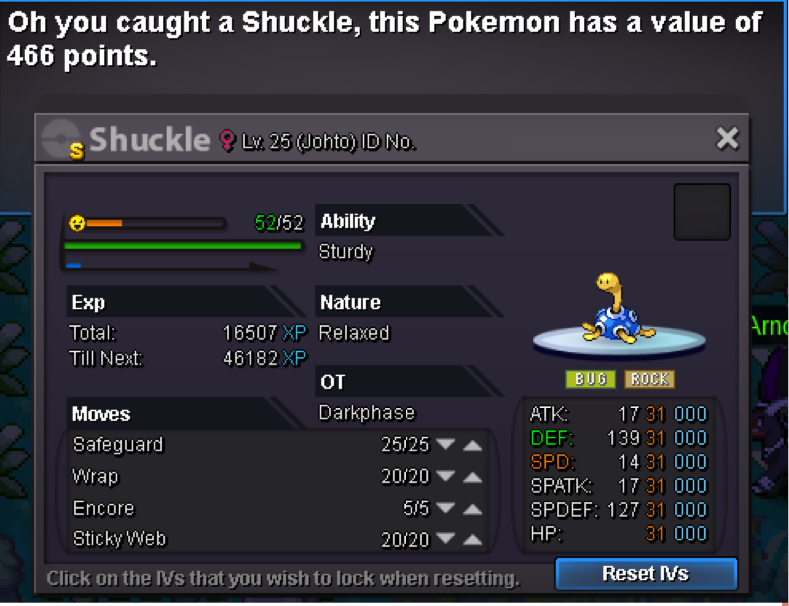 None of the Pokemon require an active Membership Medalion. 1. Go to the Stop House and Interact with the Guard. 2. Run around in the Area and catch some Bugs! 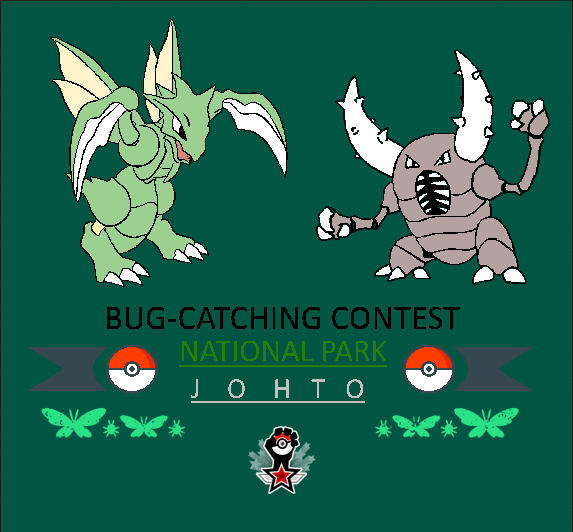 ▹ Interact with the Contest Pokemon Evaluation NPC to know how high the score your of caught bug is. 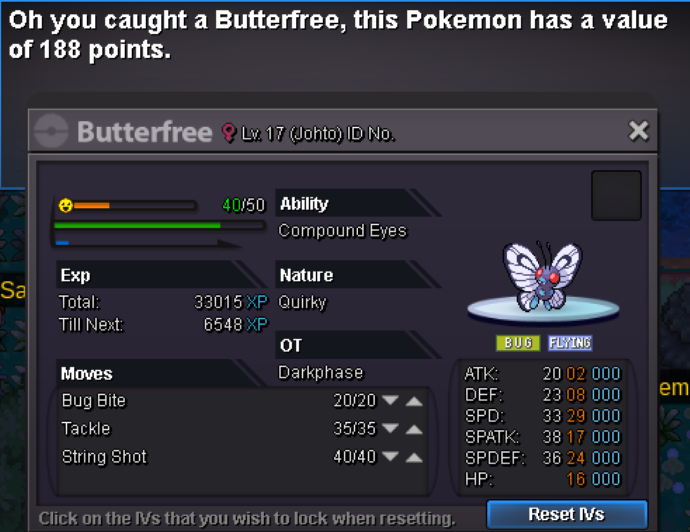 ▹ Any unwanted bugs with low scores can be removed with the help of the Bug Pokemon Remover. ▹ If at any moment you run out of PokeBalls, don't worry. There is a Great Ball Seller located in the Area. ▹ When you run out of potions or revives, you can heal your Pokemon with the help of Nurse Joy for a small loan of 2,5k$. 3. 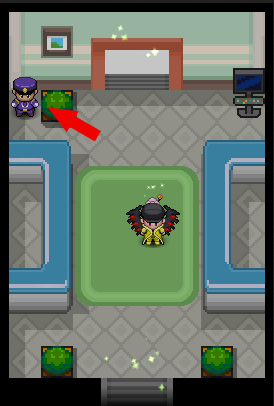 Once you think you caught the best Bug Pokemon, talk to the Guards to go to the Contest Hall. ▹ All the Pokemon caught in the contest are for you to keep. 5. Once you talked to every participant, interact with the Judge to get your reward based on your score. ▹Level: 1 Level = 1 score and 25 is the highest possible level. 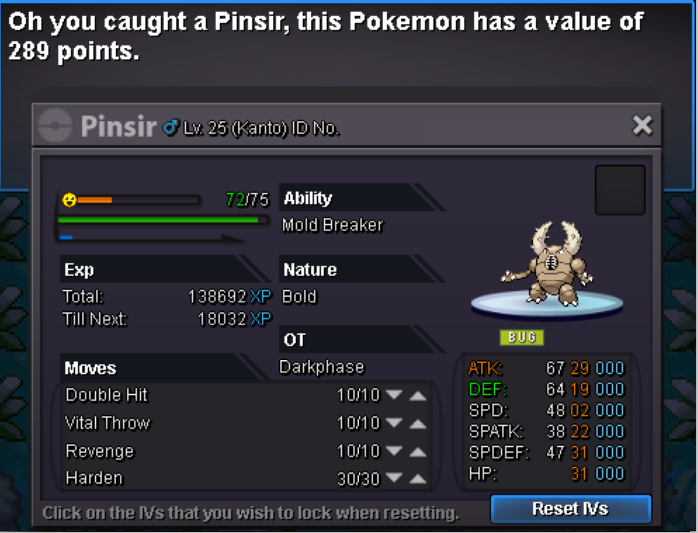 ▹Tiers: The higher the tier of the Pokemon, the higher the score. 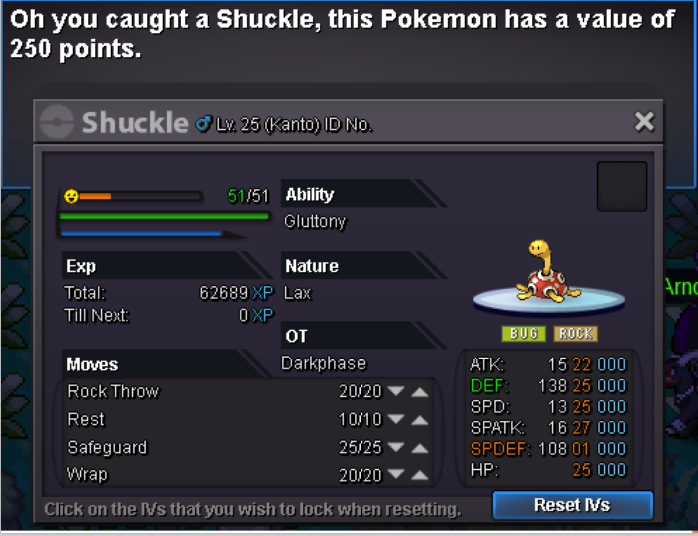 The underlined Pokemon cannot be caught in the Area but can be obtained by leveling up. Now onto the calculation itself. Hey, its a very good guide. Thanks a lot! I will try to do this event everyday from now on. Thank you for the guide. Helped me a lot. Thanks for the guide! Never i have seen such a guide on bug catching contest! :D Thanks for the hard work!